Today I thought I would dig thru some previous posts and share some of my fall from the past. Fun to look back and get inspired to recreate different looks. I've had a lot of different looks in the past, it's always fun to look back. How about you, do you get inspiration from the past too? 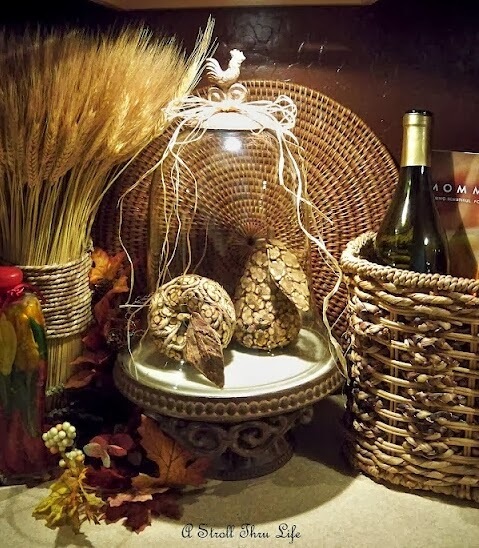 So many perfect fall vignettes in your home Marty, really would make your feel Fall inside your home in a warm, cozay and beautiful way! have a wonderful day dear! Beautiful vignettes Marty! Love the gold pumpkins! Lots of great ideas here, Marty! 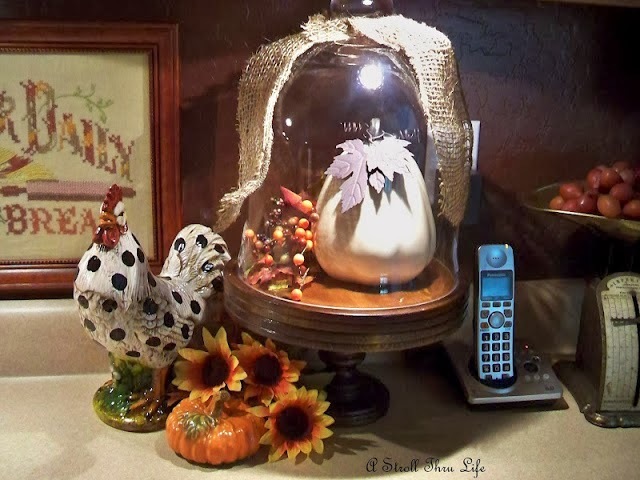 Your cloche vignettes are always very creative and pretty and inspiring. 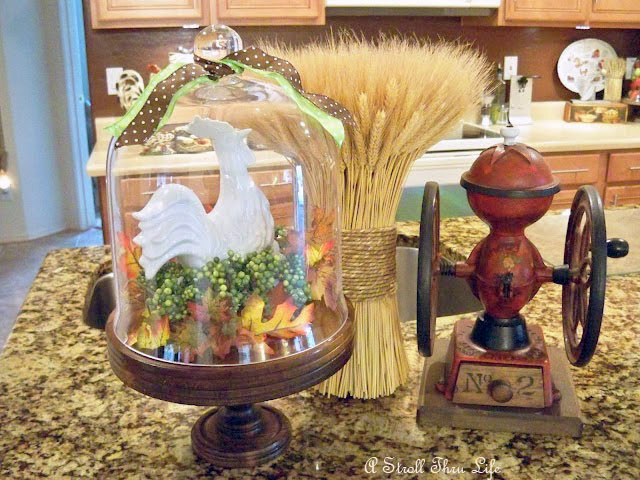 Love your use of the cloche. I don't have one and I think I need to get one now. :) Thanks for sharing Marty! The third picture is my favorite, but they are all lovely! It is fun to look back at past pictures. Your own and others, great place for inspiration! Marty, you always have such pretty vignettes! It was so fun to go back and see them again! 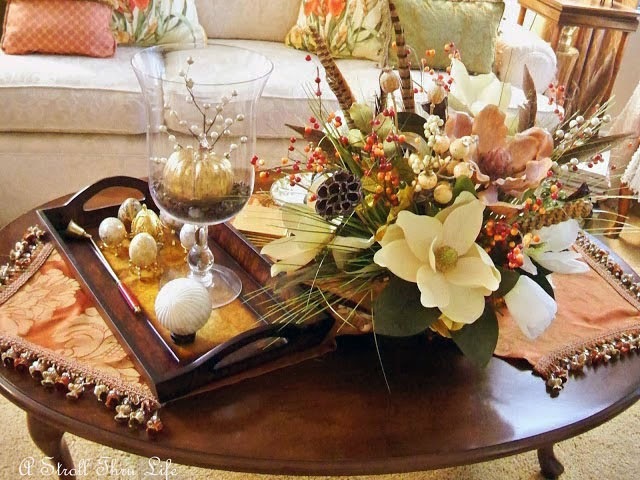 Beautiful vignettes and you have that special touch of charm to créate the most fabulous Fall decor arround your lovely house! Thanks for the inspiration! Have a wonderful weekend. Very pretty.. you always have the prettiest décor in your home. 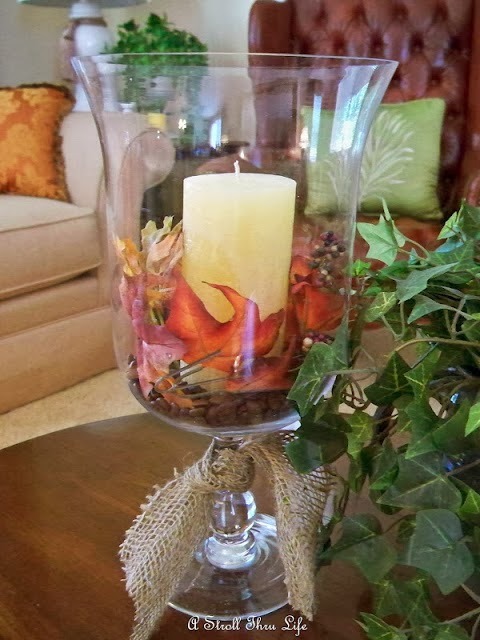 Your fall décor looks so inviting. 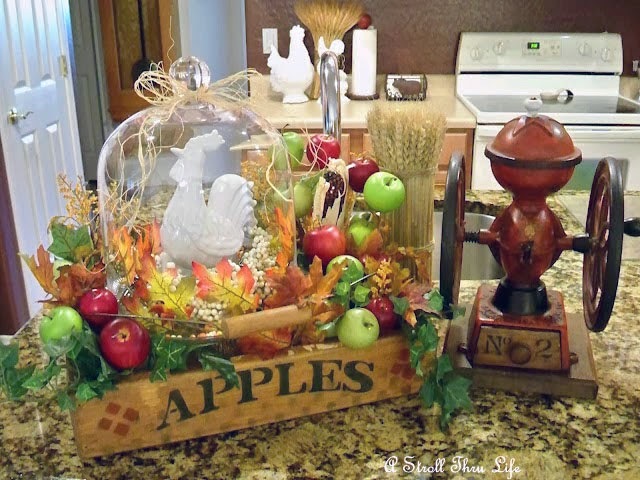 Wonderf Fall vignettes around your gorgeous home, Marty. Your presentation is perfectly done. 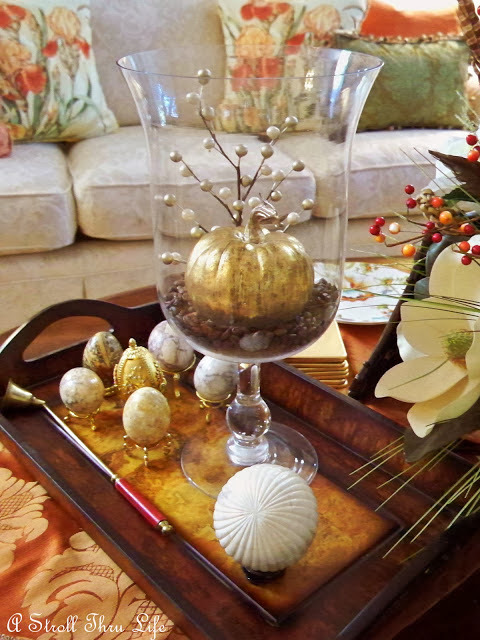 Thanks, Marty, for the great fall decorating ideas! I absolutely love your vignettes and can imagine walking through your home looking forward to what I see at the next turn. I love taking a look back. Everything is beautiful! It is fun to look back isn't it. I liked all of your cloche's and candle holders. Thanks for inspiring us with your beautiful vignettes, Marty! Beautiful! I love the Crate that says Apples. Have a great weekend. These are all beautiful! I have the same place mats that I see in the first photo! Love them and use them all the time! Yes, I do look back! To see if my blog is getting better, Not for inspiration! lol Love your vignettes. Thanks for sharing. I love your taste Marty it's all so pretty. You have such a talent to put together such lovely vignettes. Thanks for sharing at TTF! Love all of your vignettes! Please come do my house! Beautiful! I love your table decorations! You are the best at vignettes for sure! I enjoyed seeing all the different fall ones all in one place. 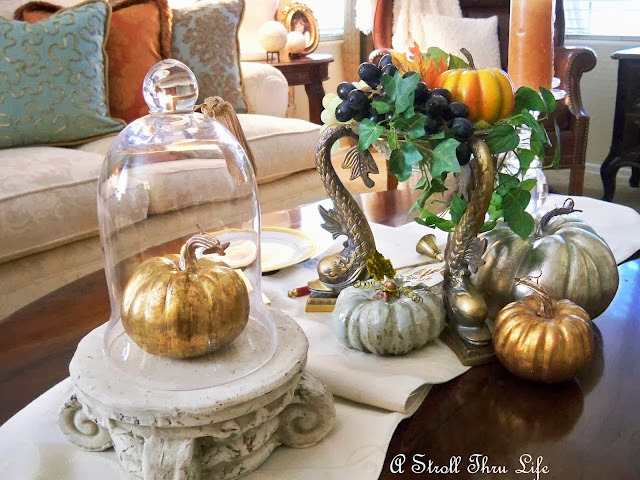 Love the silver pumpkins! Marty love all your fall touches! Thanx for coming to my place to party.